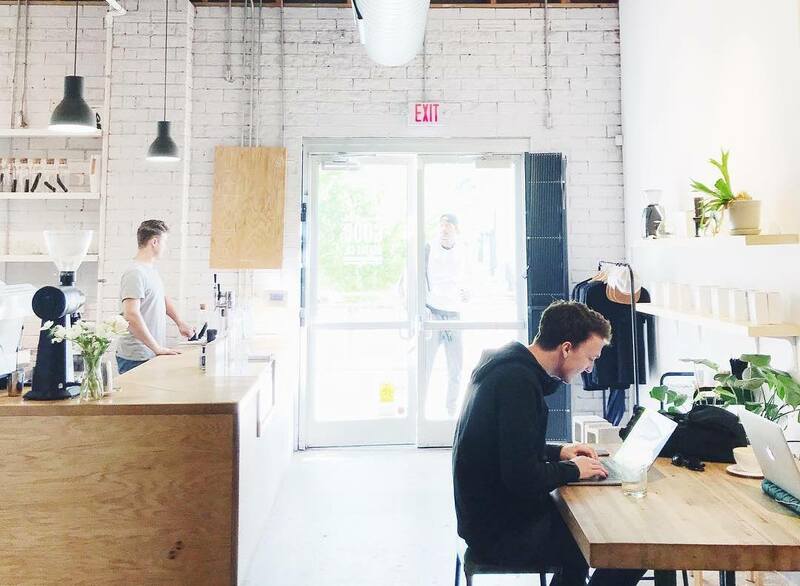 From hipster java joints to swanky coffee bars, Charlotte is packed full of unique places to fuel your coffee addiction (it’s okay, we all have one). 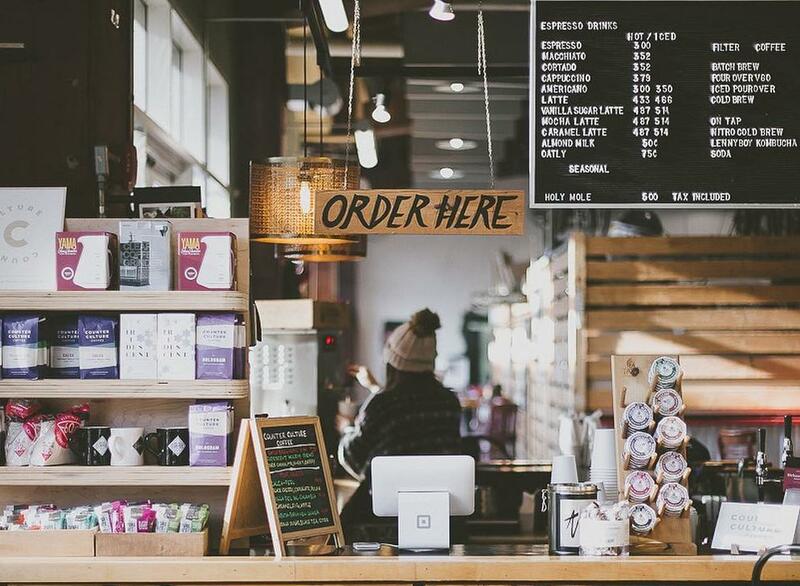 If you prefer ethically sourced and locally roasted over a name brand, venti, or sugar-free, nonfat caramel macchiatos (you get where we’re going here), then this list is for you. 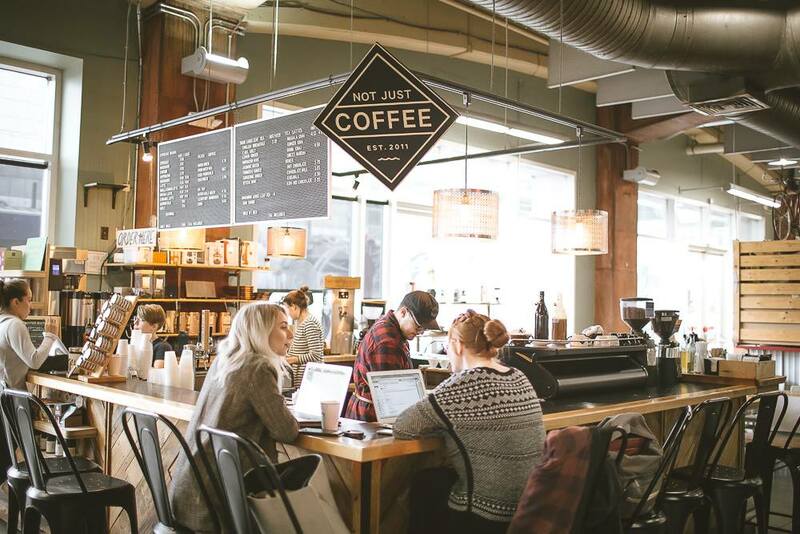 The Queen City is quickly growing into a coffee mecca and we’re here to give you the scoop. Craft beer meets craft coffee [insert swooning emoji here]. Two of our favorite things in one spot — it doesn’t get much better than Trade and Lore. Grab a seat at this café by day and taproom by night (situated above Salud bottle shop) and order a craft brew in the AM and a draft beer in the PM. Just don’t forget to check out all of the cool artwork on the walls while you sip on your Butterbeer Cappuccino (yes, that’s a thing). 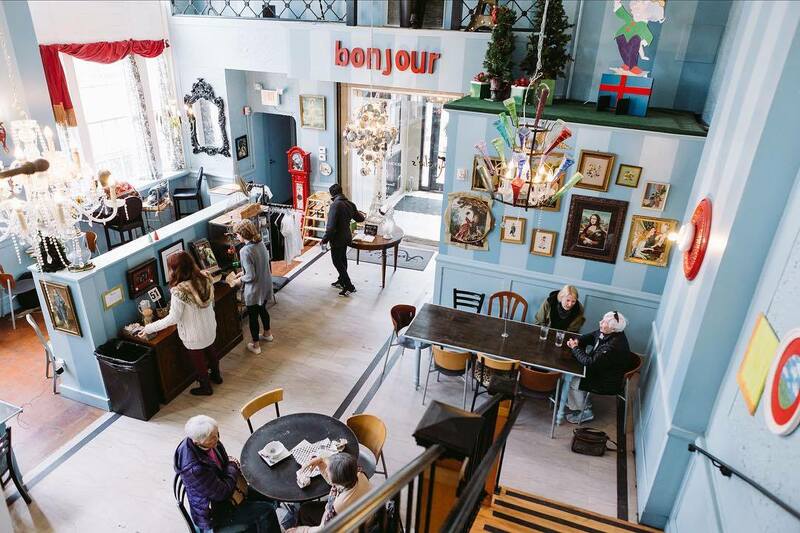 Probably not where you’d shop for home furniture, but definitely where you’d go for a latte paired with a delicate pastry — welcome to Amélie’s, where funky decor meets French cafe. Their NoDa digs is one of four throughout Charlotte, and, since it’s their flagship store, it’s open 24/7. 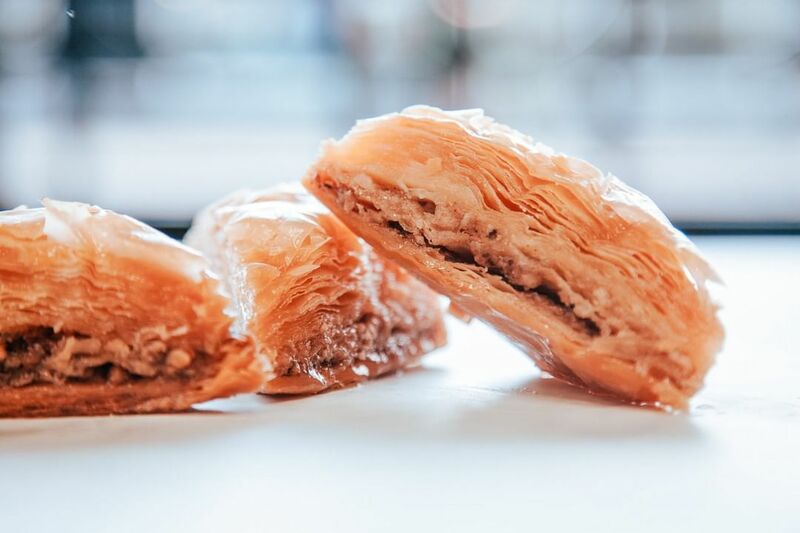 Let’s recap: coffee and espresso (locally roasted, btw), desserts, salads, quiche, and they never close… is there really a reason to ever leave? 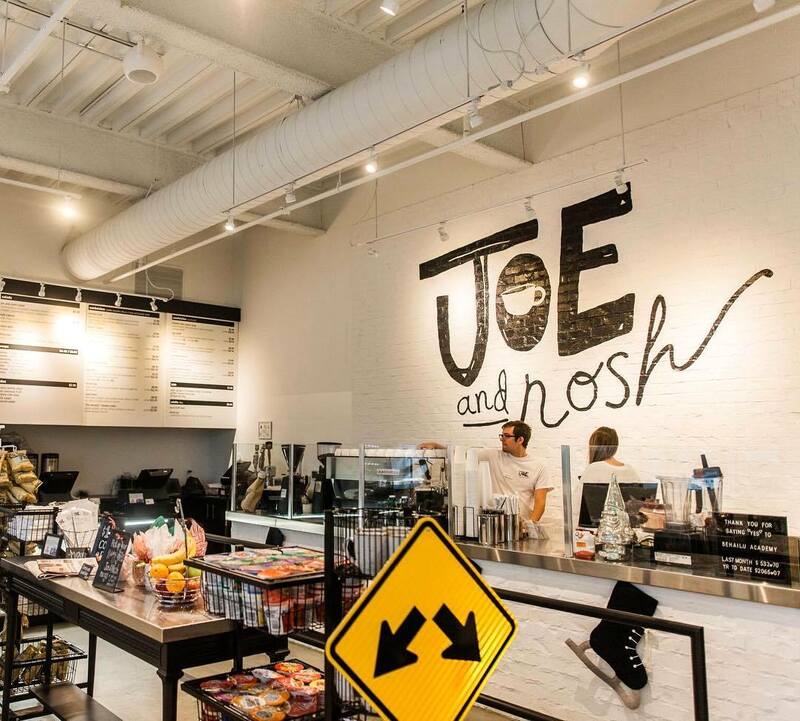 Skip the Starbucks and head straight to Joe and Nosh on E. Morehead St. for a delightfully delectable cup of joe. They’ve got all the classics plus a killer nitro cold brew that’s second to none. But if you’re trying to cut back on caffeine, start your day with one of their freshly-made smoothies — you can’t go wrong with the Blue Blitz, made with blueberries, peaches, pineapple, orange juice, cinnamon, and honey. 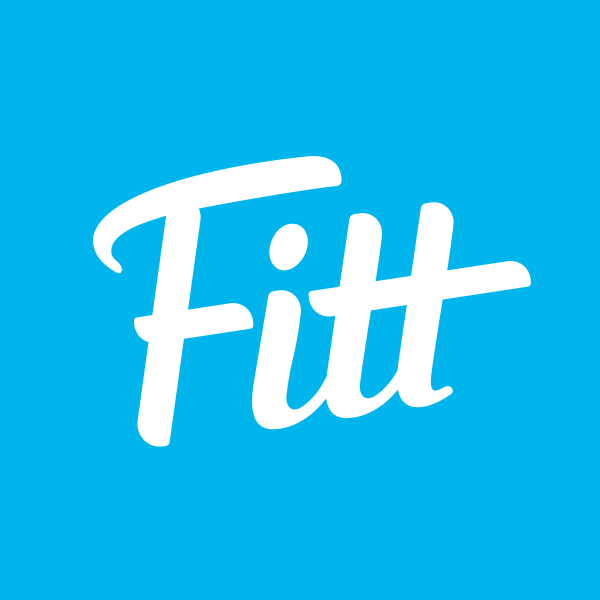 Fitt Tip: after work, stop by for a Drunk Joe, it’s a local draft beer, nitro cold brew combo that you won’t want to sleep on. Amazing coffee, check. Homemade biscuits, check. AND, they roast their own ethically-sourced coffee… we promise this place isn’t too good to be true. Smelly Cat (not to be confused with the song that Phoebe sings on Friends) is a quirky coffee shop in the heart of NoDa. Take your hipster friends here or cozy up with a book in one of their little nooks. Fitt Tip: they serve one of the best dirty chai’s in Charlotte (that’s chai tea with a shot of espresso). 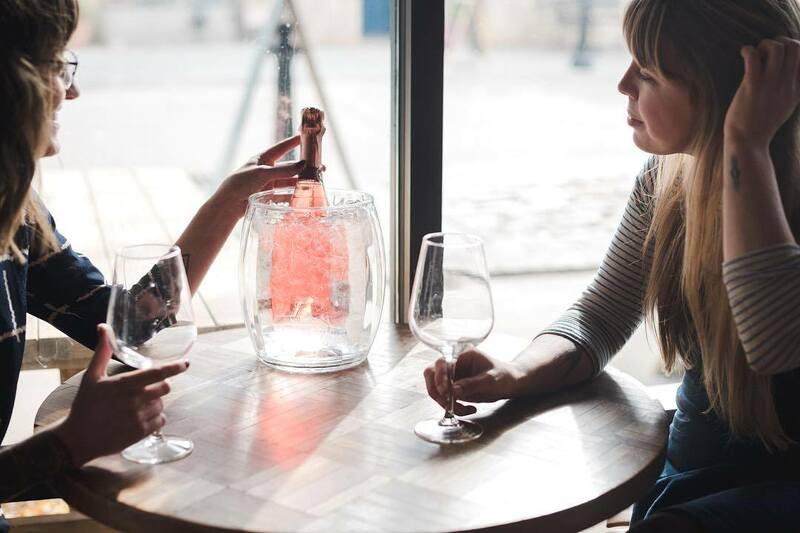 Let’s look inside the setup at Good Bottle Co. on Remount Rd. : you have an espresso machine, a French press, and three best friends crafting some of the most creative coffee brews in Charlotte. Aside from all of the craft beer you’ll find throughout here, when you walk inside, directly to your right is HEX Coffee. They’ve got an amazing rotating, seasonal menu that’ll leave your taste buds jumping for joy (think Mexican mocha with a toasted marshmallow on top). Oh, and they serve waffles on Saturdays. Mic drop. Not Just Coffee has not one, not two, but FIVE locations, each with a cool and casual atmosphere perfect for grabbing a latte and/or admiring the design staring back at you (we’re talking major coffee art skills). Their vanilla latte is big hype around Charlotte, and word on the street is, they make their own vanilla sugar, too. Forever in search of the perfect cold brew that has just the right amount of strength and silkiness? Us too… and we’re happy to report that the search is over! 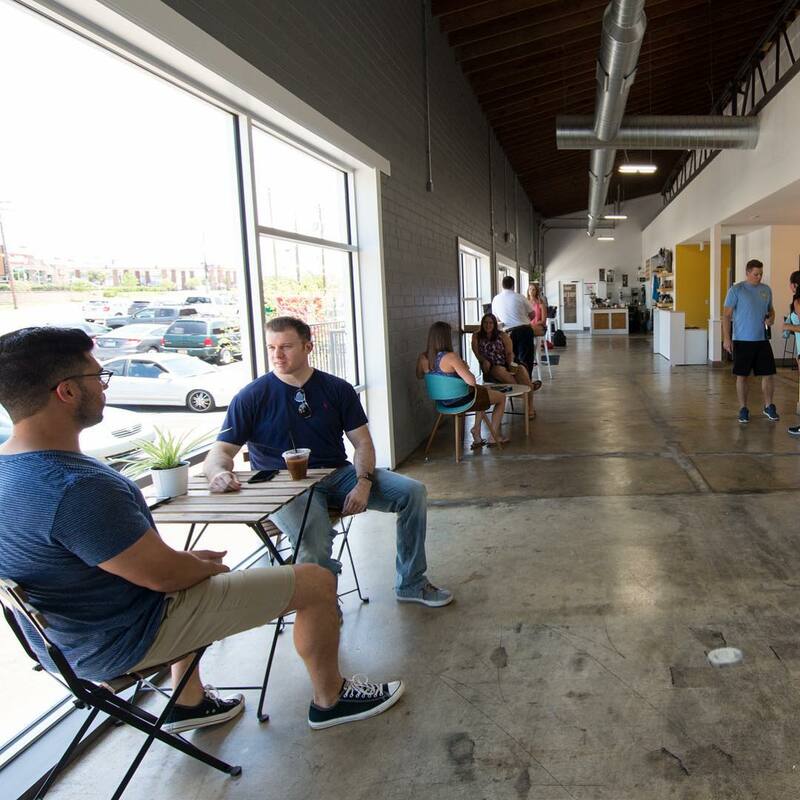 South End Grind, inside Urban MVMNT on Clanton Rd., is one of the hippest coffee shops to hit the Charlotte scene. And they’ve got a cold brew on tap that packs a punch and will keep you going all day. For their more limited brews, they use an AeroPress to extract the flavors of each individual coffee (we mentioned that they’re hip, right?). Check ’em out. Biergarten meets swanky coffee bar — it’s pretty clear Charlotte knows their brews! The Suffolk Punch is right off of the light rail, making it a prime spot for Charlotteans making their way into Uptown during the work week. Grab an espresso on your morning commute or stick around and admire the hanging greenery as you sip nitro coffee on draft. 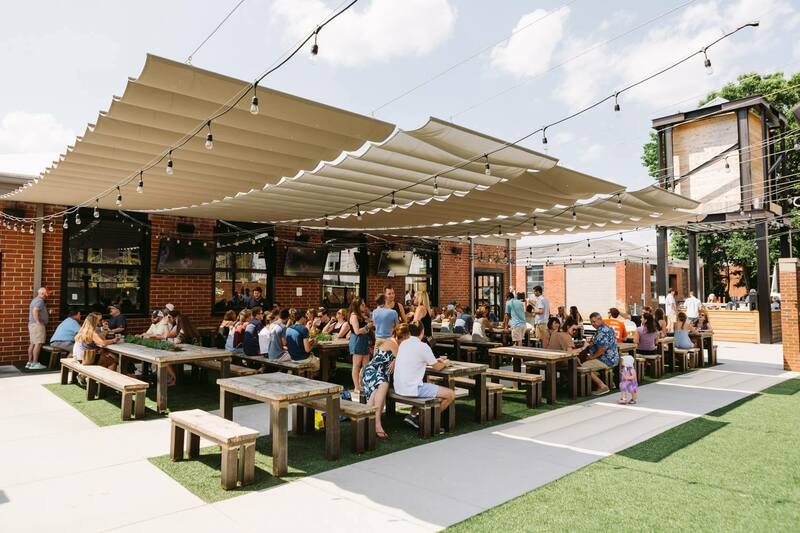 The vibe is both industrial and tranquil and boasts a large outdoor space, so you can enjoy Charlotte’s year-round mild climate while getting your caffeine fix. Wander down Brevard Ct. in Uptown and it’ll feel like you’re walking through the streets of Europe. At the end of the way, you’ll happen upon a quaint little cafe—Rush Espresso—serving internationally-acclaimed coffee and teas. 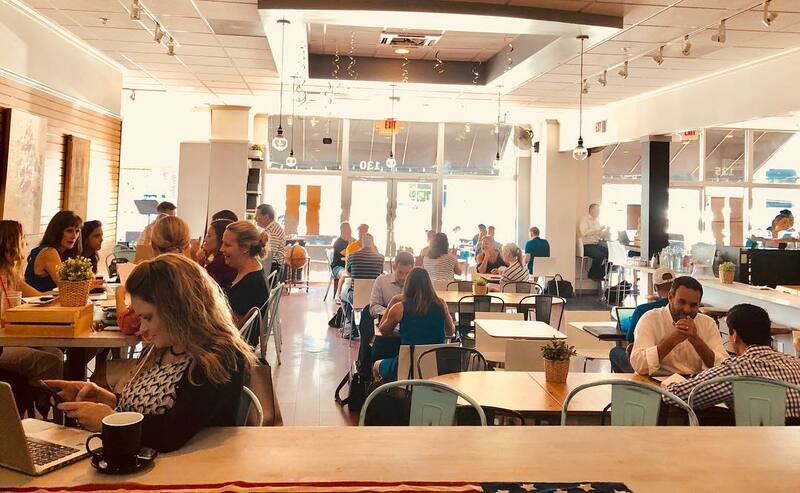 Their larger location in Ballantyne offers breakfast, lunch, and dinner in addition to live music, but this hidden gem is built for speed and efficiency, perfect for the fast-paced bankers trying to get their daily coffee fix. But don’t shy away from the long line out the door during prime caffeine time (aka mid-morning); these guys know how to handle a crowd. When you order an espresso and the barista asks what type, you know you’re in a legit coffee shop. 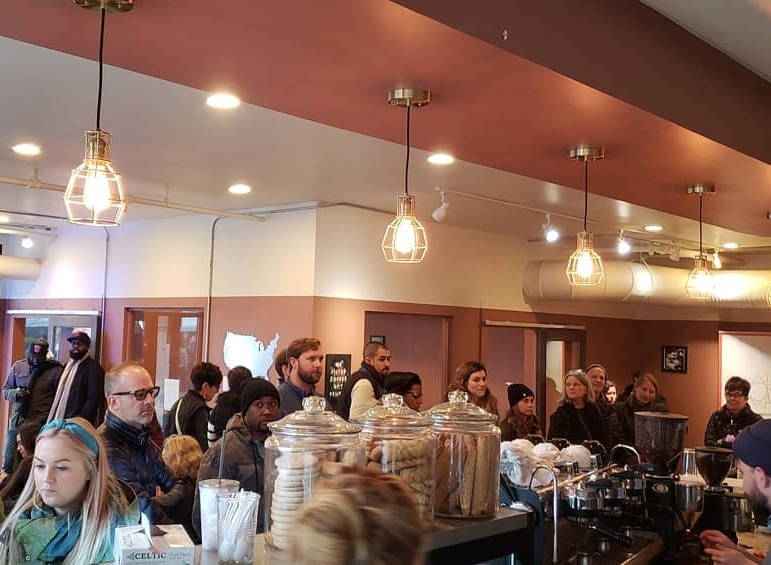 The owners and staff at Waterbean Coffee clearly know their stuff and have a passion for serving up the best espresso and coffee drinks their customers have ever tried. With a variety of options available, the espresso flight is a great choice if you’re feeling indecisive. 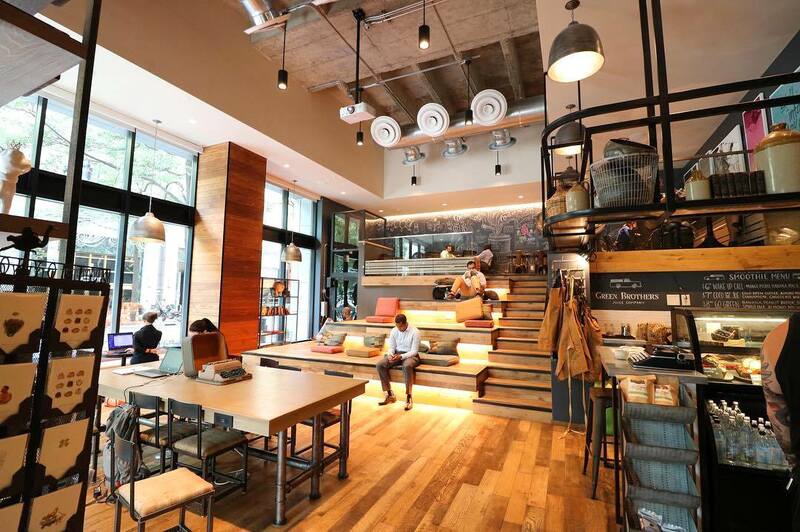 Free of distractions, the minimalist design of this coffee shop in Midtown, Tryon, and in the Whitehall Corporate building also makes it a prime spot to crush some work (after you crush that flight). 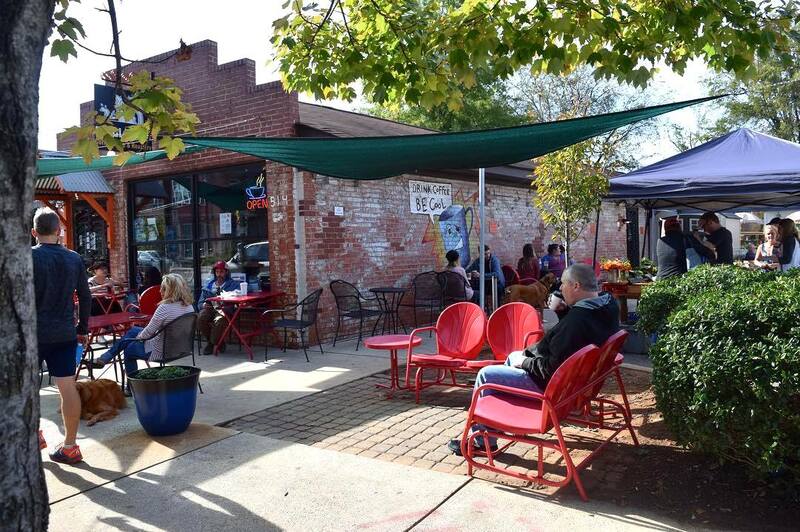 Nestled in Plaza Midwood and South End, Central Coffee Co. has been serving up Central Shorties since 2009. Before you jump to conclusions, those Shorties are their signature latte infused with whole milk and a dash of vanilla — a customer favorite. Want a taste of something bolder? Try their hot chocolate and crank the heat up to spicy, inferno, or (if you’re Carolina Reaper status) seventh level. To cool things off, indulge in one of their vegan cakes made with flaxseed — because we like our sweets and protein, too. The only thing more impressive than freshly baking their pastries six times daily is the sheer size of them. Nova’s Bakery, right off of Central Ave. in Plaza Midwood and South Blvd. 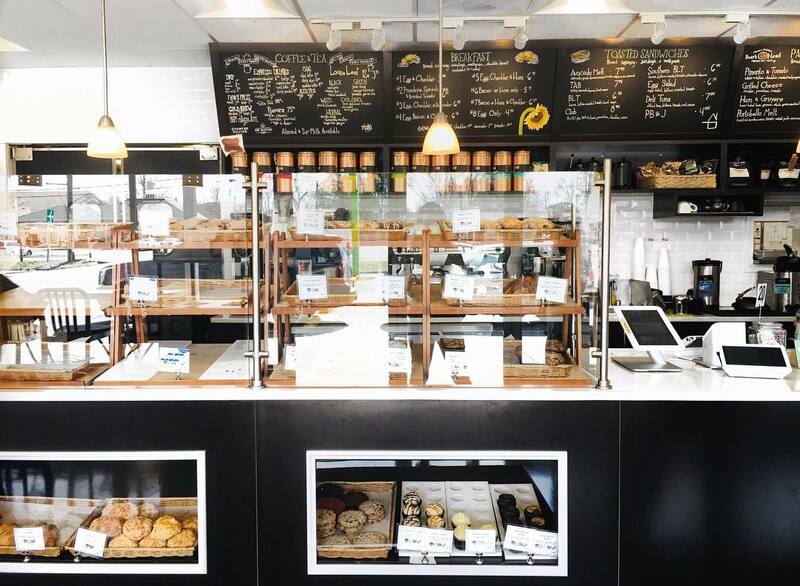 in South End, not only wows us with their pastries but is well known for their traditional European-style breads using organic ingredients. We suggest pairing a scone with one of their flavored coffees. Choose from snickerdoodle, cinnamon hazelnut, toasted macaroon… basically, any warm and comforting flavor you can think of. And don’t forget to grab a loaf of bread on your way out — but good luck choosing from over 15 types of the doughy deliciousness. 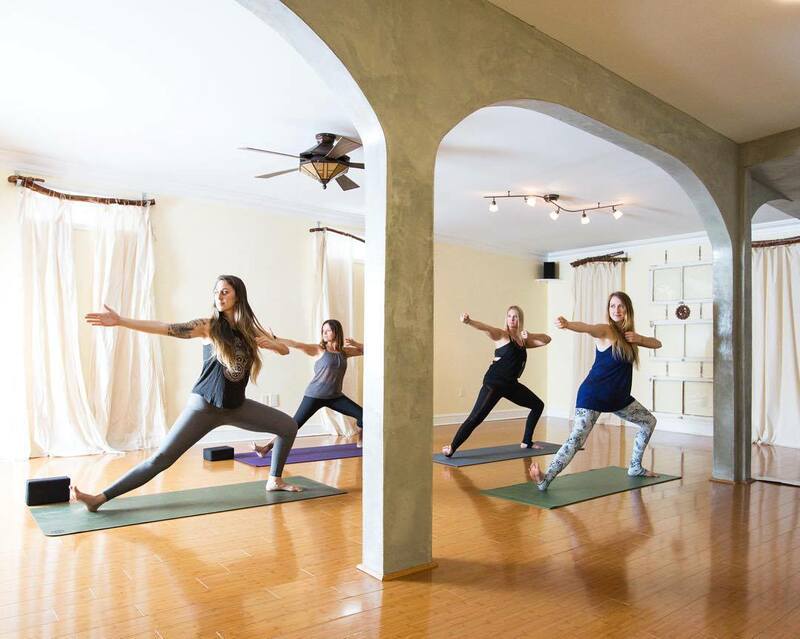 Deep in the heart of Plaza Midwood, Okra Yoga offers massages, energy work, and—you guessed it—yoga classes. But what most people don’t know is that inside Okra is a tiny tea and coffee shop serving up some big flavors. Ever heard of NingXia Red? Us either, but this superfruit-based, nutrient-dense juice can be added to any tea or coffee drink at Okra and is packed full of antioxidants and essential oils (not that we need a reason to consume coffee). This shop also offers ayurvedic teas for the avid yogis — choose between vata, pitta, or kapha based on your dosha (that’s “mind-body type” for all you non-yogis). You’ll find Coco and the Director in the heart of Uptown, right at the intersection of Trade and Tryon. With tall ceilings and staircase seating, this caffeine stop’s vibe is perfect for a slow Saturday morning or casual business meeting. 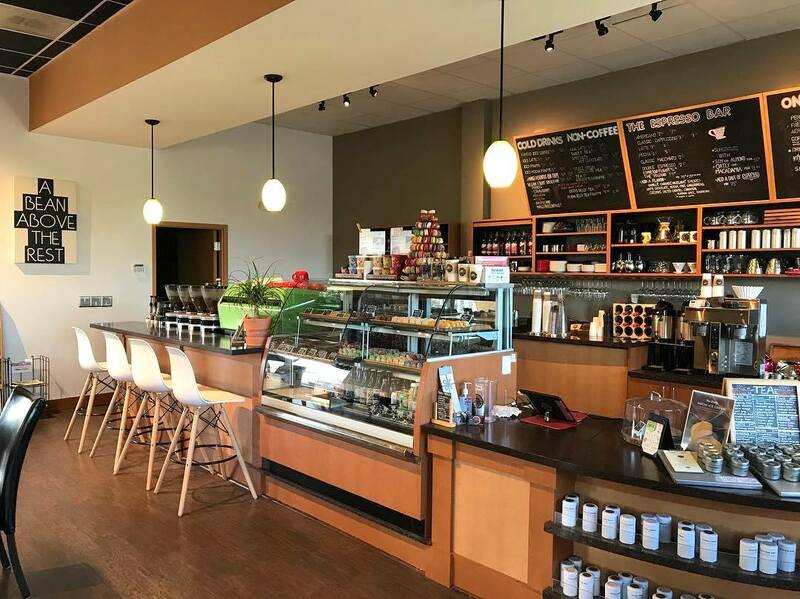 Sip and savor their delicious locally roasted coffee, enjoy freshly-baked bread, or grab one of their on-the-go lunch options. Most importantly, though, they serve kronuts. Delicious coffee and deep-fried croissants? Say no more. We’ve got a feeling this place is about to be your regular spot. Tired of sugary coffee drinks where you can barely taste the actual coffee? 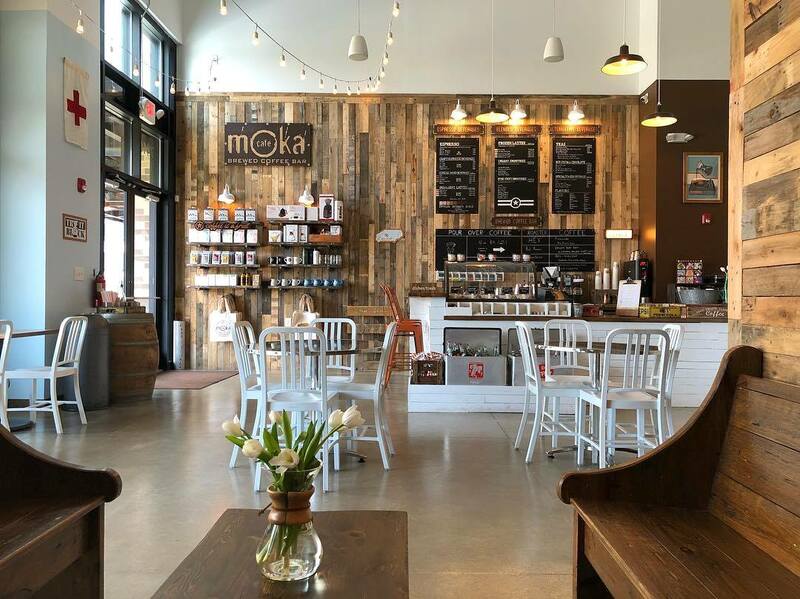 Try Cafe Moka, a Virginia-based cafe that now has a location in the Waverly shopping center. They focus on lightly-roasted coffees, created with such care that you won’t taste the roast, you’ll taste the FRUIT of the coffee bean. Crazy, we know. Get the V60 Pour Over, let it cool, and try it black before you add anything to it. If you’re a fan of Sunflour, then you’re in luck because they’ve expanded. There are now (count ’em) four Sunflour bakeries in Charlotte, so you can grab a famous cheddar biscuit no matter where you live. But aside from their epic baked goods, Sunflour also has a serious coffee menu. They serve Pure Intentions and Counter Culture coffee, both of which are organic and Fair Trade. They also make their chocolate, vanilla bean, caramel, and seasonal syrups in-house, daily. Really, it doesn’t get better.